Ralph Hanson July 20, 2009 Comment Now! Setting a new world record in any form of motorsport requires an incredible amount of skill, engineering and preparation - all the more so when its your own record that you're beating. 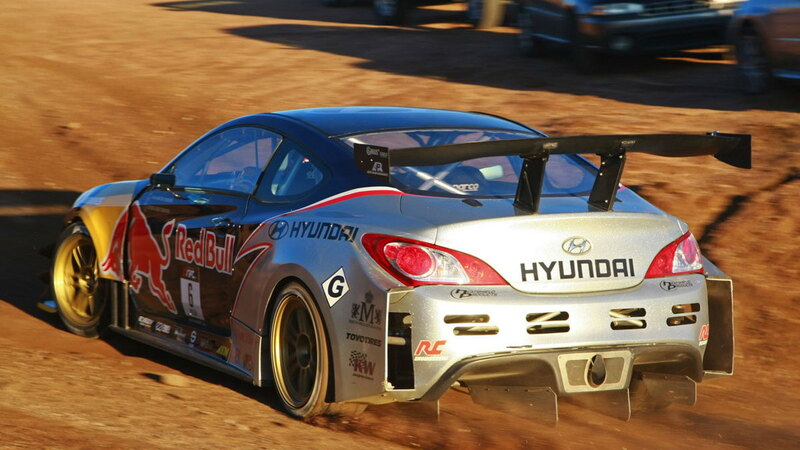 But that's just what Hyundai has done this past weekend at Pikes Peak. 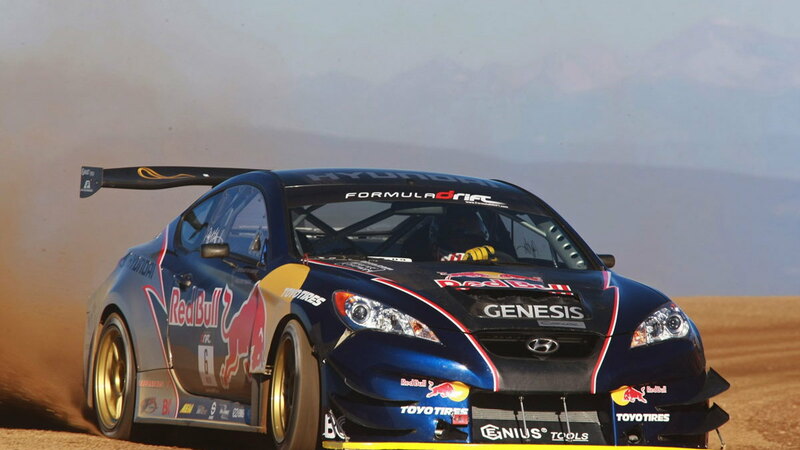 Driving a specially prepared Hyundai Genesis Coupe, rally, drift and race driver Rhys Millen took the RWD Time Attack class title and set a new record for the division at 12:09.397 minutes up the punishing 156-turn course. Getting there that quickly put the Genesis across the line with the rear tires worn down to the steel belts, however. 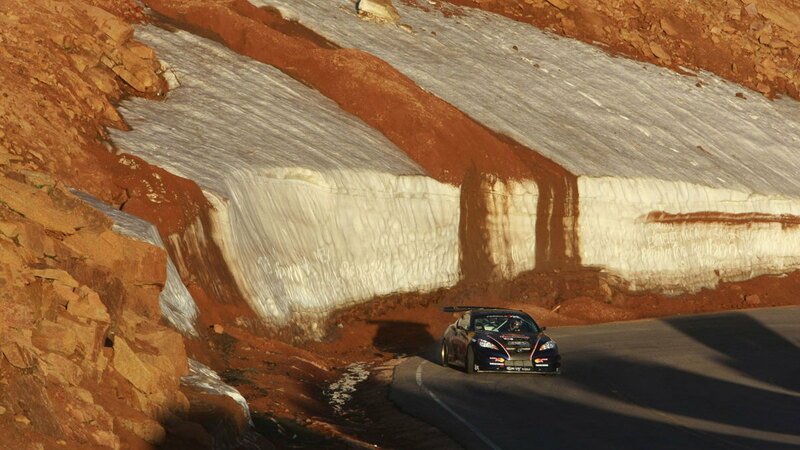 "Driving the Genesis Coupe for the first time at Pikes Peak in front of thousands of fans is an amazing experience," said Millen. 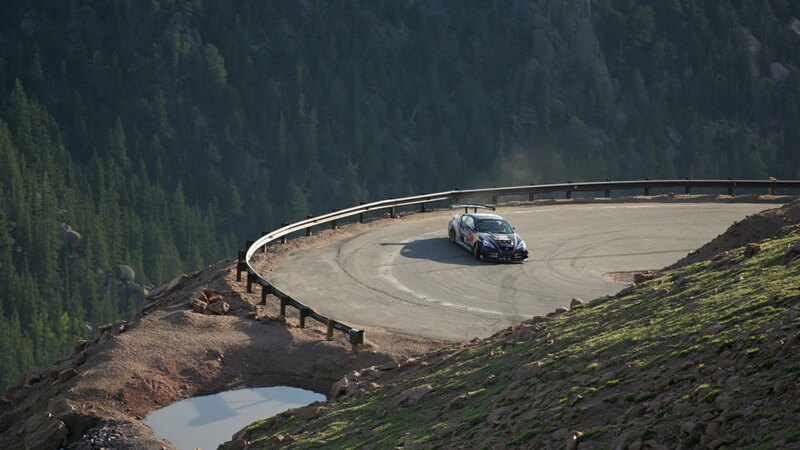 "Nothing compares to the pressure and thrill of Pikes Peak while competing against yourself for the record." 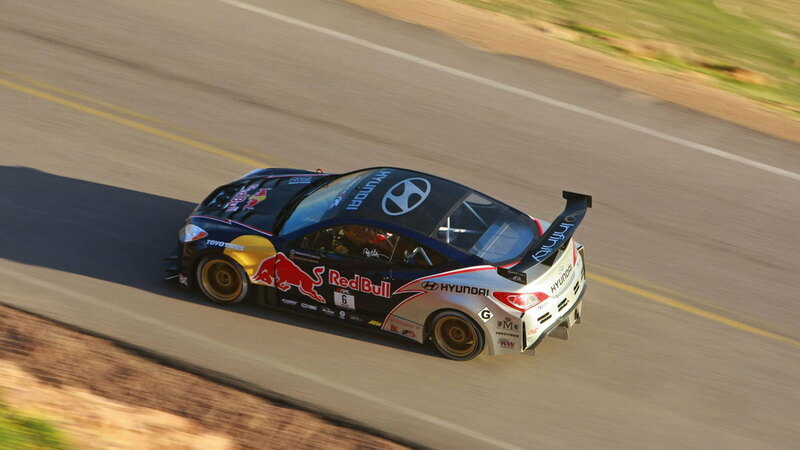 Millen previously held the record for the RWD Time Attack class at 12:31.61, making this year's run a full 22 seconds faster.